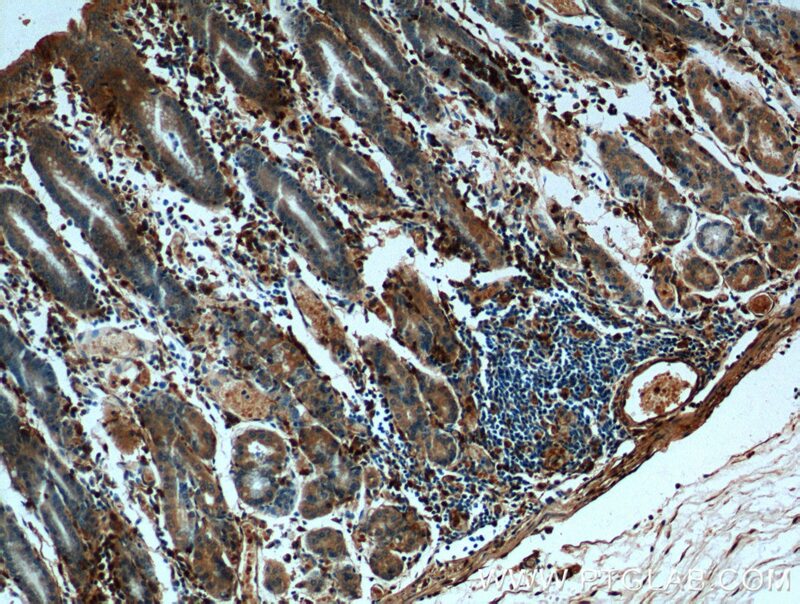 Immunohistochemical analysis of paraffin-embedded human stomach tissue slide using 66344-1-Ig( Annexin A1 antibody at dilution of 1:200 (under 10x lens). 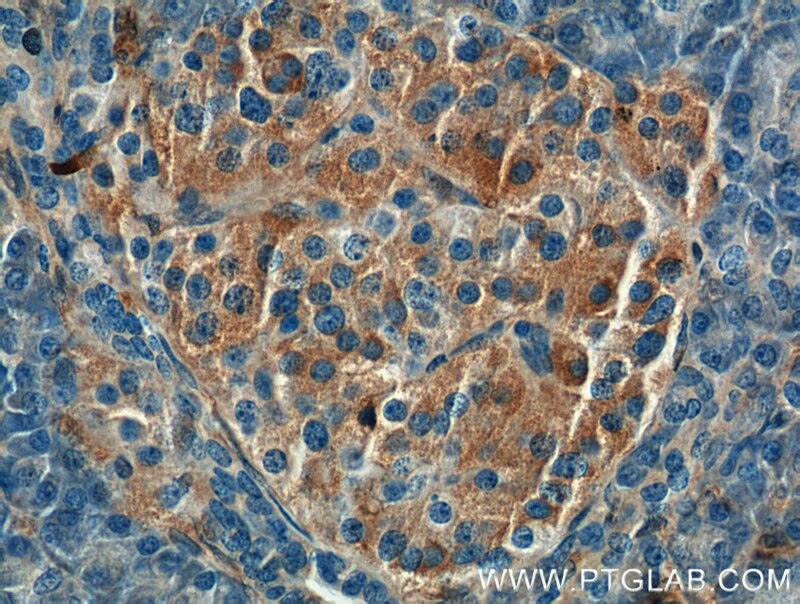 Immunohistochemical analysis of paraffin-embedded human stomach tissue slide using 66344-1-Ig( Annexin A1 antibody at dilution of 1:200 (under 40x lens). ANXA1, also named as ANX1, LPC1 and p35, belongs to the annexin family. 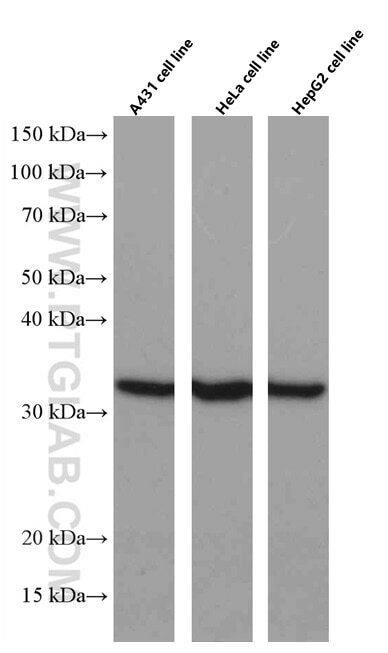 It is a member of the annexin family of Ca2+-binding and phospholipidbinding proteins, and it is particularly abundant in various populations of peripheral blood leukocytes. ANXA1 regulates phospholipase A2 activity. It seems to bind from two to four calcium ions with high affinity. 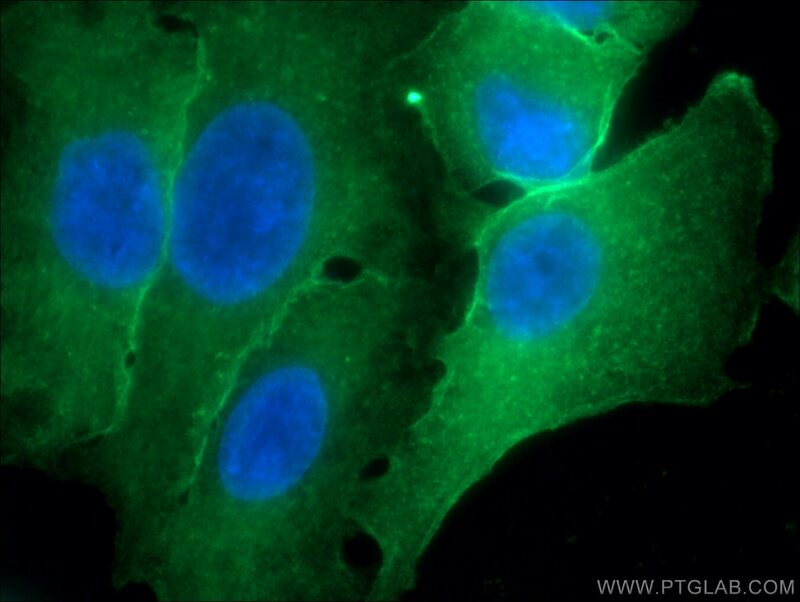 ANXA1 is a pleiotrophic protein produced by many cell types including peripheral blood leucocytes. 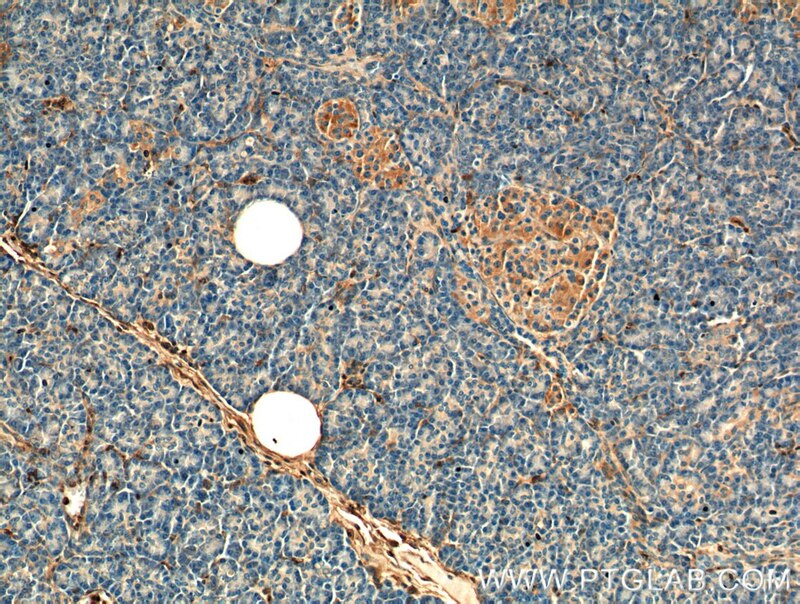 Immunohistochemical analysis of paraffin-embedded human pancreas tissue slide using 66344-1-Ig( Annexin A1 antibody at dilution of 1:200 (under 10x lens). 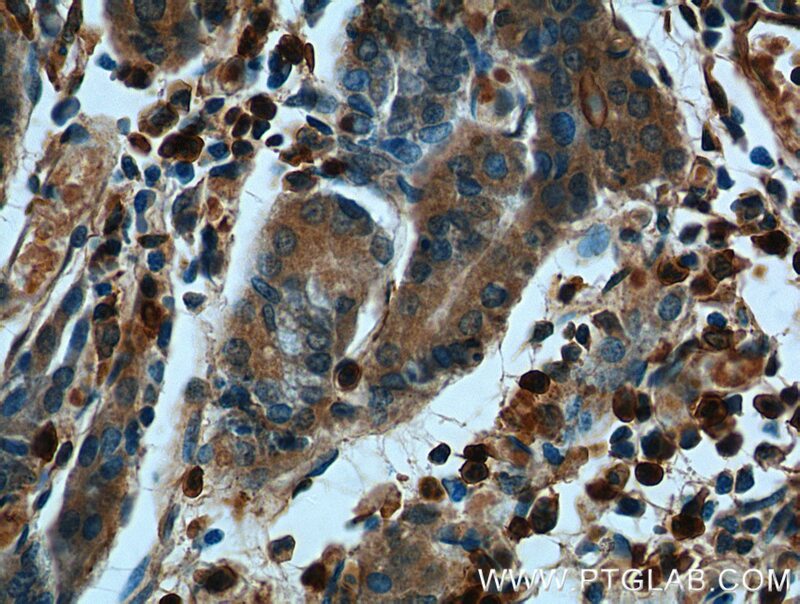 Immunohistochemical analysis of paraffin-embedded human pancreas tissue slide using 66344-1-Ig( Annexin A1 antibody at dilution of 1:200 (under 40x lens).